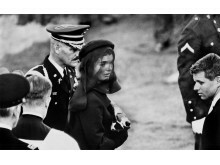 04 February: Renowned Magnum photographer Elliott Erwitt is to be honoured at the 2015 Sony World Photography Awards. Erwitt, aged 86, will receive the Outstanding Contribution to Photography prize in person at the awards’ annual gala dinner in London on Thursday 23 April. To coincide, an intimate show celebrating a combination of Erwitt’s most familiar and lesser known work from across his 60 year career will be presented at Somerset House, London from 24 April – 10 May as part of the Sony World Photography Awards Exhibition. 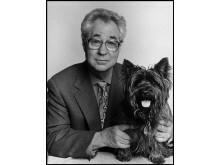 A rare public talk between Erwitt and his long-time book designer Stuart Smith will also take place on 24 April. While Erwitt’s images of President Nixon, Marilyn Monroe and Parisian dogs are instantly recognisable, the photographer has produced a huge body of diverse work across stills and film and continues to do so today. The exhibition at Somerset House will showcase this range with Erwitt’s vast collection of book publications, a collection of archive prints, a digital presentation of his Personal Best (Erwitt’s favourite photographs) and a selection of his films. 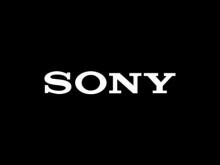 The Outstanding Contribution to Photography Award is given each year by the Sony World Photography Awards in recognition of a photographer’s significance on the photographic industry. 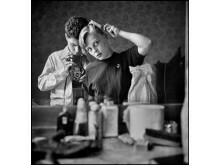 Previous recipients include Eve Arnold, William Klein, Marc Riboud, William Eggleston and Mary Ellen Mark. 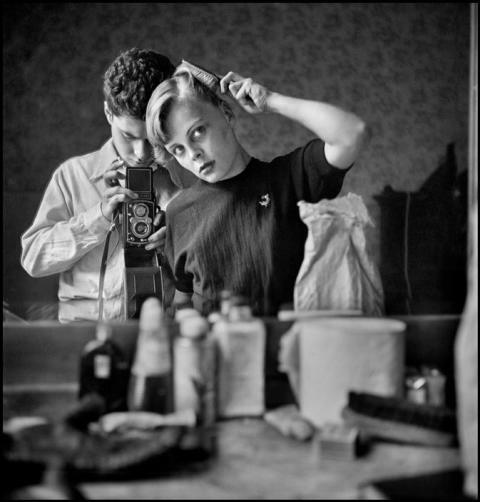 Elliott Erwitt will receive his award on Thursday 23 April at the 2015 Sony World Photography Awards Gala Ceremony. On the same night, the winners of the awards’ professional categories and the overall L’Iris d’Or / Sony World Photography Awards Photographer of the Year will be announced. Alongside Erwitt’s exhibition at Somerset House, the winning and shortlisted photographers of the 2015 Sony World Photography Awards will also be on display. 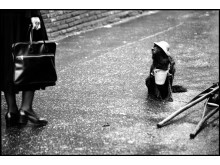 A selection of images by Elliott Erwitt are available to download at press.worldphoto.org You are welcome to use two out of the four free press images, as well as one of the headshots available. No image may be cropped, overlaid with text or altered in any way.